In today’s episode, we help Dan determine next steps in moving forward and growing his online business that teaches birth professionals about how to effectively operate a successful small business. Jocelyn Sams: Hey y’all. On today’s show we help Dan take his birth consulting business to the next level. Shane Sams: Welcome to The Flip Lifestyle Podcast, where life always comes before work. We’re your host, Shane and Jocelyn Sams. We’re a real family that figured out how to make our entire living online. Now, we help other families do the same. Are you ready to flip your life? Alright, let’s get started. Shane Sams: What’s going on, everybody, welcome back to The Flip Lifestyle Podcast. It is great to be back with you again today, we’re super excited to welcome another member of our Flip Your Life community onto the show today to help them take their business to the next level and really, really especially excited today because we have a great friend of ours, someone who’s been in the community for a long time, hung out with him in person numerous times and can’t wait to help them today, Dan Dekker is on the program. Dan, what’s up, man? Dan Dekker: Giddy up, giddy up, let’s make some money. Woo! Jocelyn Sams: That’s probably the most energetic introduction we’ve ever had. Shane Sams: I always love talking to you ’cause I know it’s gonna be entertaining, especially when you do something like this. When I was reading your form that you filled out to be on the podcast, I love how … Where it said like talking about your family, and you put three offspring. And I’m like, “Only Dan’s putting offspring instead of children on the show, man.” But Dan’s got an awesome story, awesome business and we’ve had a lot of good times with Dan. So we’re gonna ramp up everything that’s going on in Dan’s life today. 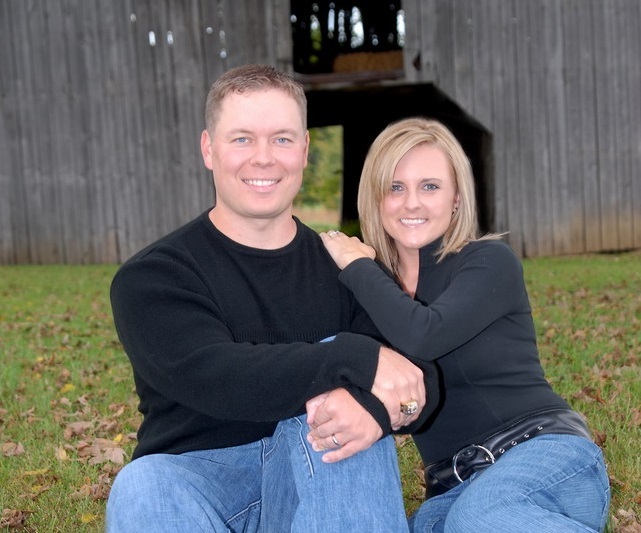 So, Dan, tell us a little bit about you and your family and your online business. Dan Dekker: Well, first of all I like to pretend I’m from Kentucky but I wasn’t actually born there so unfortunately I don’t really have that accent. But yeah, my wife and I, Rebecca, started … She started an online business 4 or 5 years ago and it really took off. I’m kind of in this weird spot where like, yeah, we flipped our lives, we have an online business that fully supports us and our family now, which is totally awesome. Dan Dekker: And now I’m kind of starting my own thing so it’s this weird mix of, I’ve seen it happen and was sort of along for the ride but for myself I’m kind of starting from scratch and having to do it all myself, which has been definitely a learning experience. But I have my business degree. 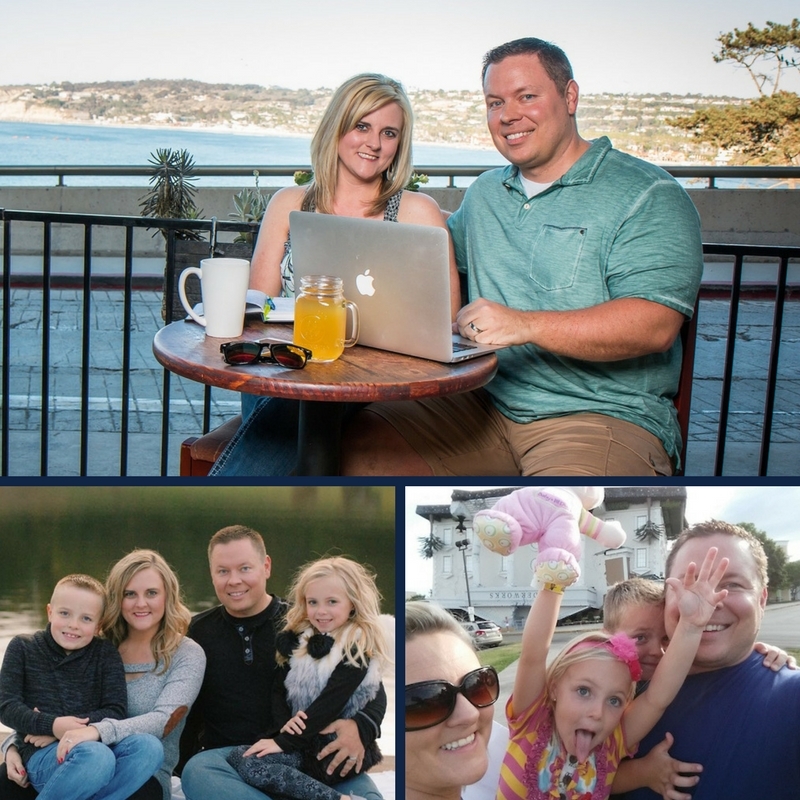 I always did accounting work for different businesses up until four years ago when I quit to do mainly the accounting and helping with our website full time and to watch the kids full time. So, I did that and now just recently … Well, I should say our business is a childbirth-related business. My wife started it. It gives education materials to childbirth professionals. So for the last 4 or 5 years we’ve been dealing with these childbirth professionals on a regular basis. Dan Dekker: And that’s where I kind of came up with this idea after meeting with all these doulas and midwives and childbirth educators, and realizing that a lot of them were really good at their jobs, were great at dealing with moms and families that are having babies, but they weren’t all that great with the business side. You know, they get lots of training about how to help deliver a baby but no one tells them how to run a business. And so that’s where this idea came from and that’s what I’m starting as. It’s a training class, kind of starting with the very beginning, for birth professionals to train them how to run a small business. Shane Sams: So, Rebecca’s business … She is an expert in the birth and babies field, right? Shane Sams: And her main priority is getting the research and the information to these nurses, doulas, you know, midwives, people who are helping people have a baby, right? Dan Dekker: Exactly, yeah. Rebecca kept getting questions from people ’cause they see her running a successful business and she starts answering these business questions for them just ’cause they don’t know where else to turn and she was able to help with these questions, so yeah. Shane Sams: And I’m sure it’s like many businesses, you know? Every field has its nuances, right? There’s like, certain lingo, a certain tool, certain things you buy that some other businesses wouldn’t buy, right? And you wouldn’t understand exactly how to write it off or how to file it under your taxes or do things like that. But you guys literally have been in this field now for so many years that you’re like, “Yeah, I know all that stuff.” And you just wanted to turn that into kind of a course and hand it out there, right? Dan Dekker: It went really well. Shane Sams: Now, let’s back up a little bit, let’s talk about this. Dan Dekker: We don’t need all the details. Shane Sams: Let’s go back into the details here. Jocelyn Sams: Well, first of all, before we get into all that, I just wanna say that I feel like this fits into a little box all too conveniently. So, can you talk a little bit about how you arrived at doing this? Because you didn’t start out doing this birth business thing. You were gonna do something totally different. So, can you kind of take us down that road a little bit and like what made you decide to go this way? Shane Sams: Yeah, what was your first idea that you kind of had a couple of months ago? Shane Sams: Stay in the field, right? Shane Sams: See, Seth agrees with me as always. Jocelyn Sams: So, naturally, you decided to do what? Dan Dekker: So, I just went for it anyway, yeah. Shane Sams: I did not listen to Seth Godin or Shane and Jocelyn. Dan Dekker: I got a lot of good advice and then I ignored all of it. Shane Sams: That’s how most people do man. So, tell us about that business and what happened, okay? Dan Dekker: So, I started a travel website. Since we flipped our lives and we don’t have … We’ve so much more free time and we really love traveling … So that’s been a big thing for us. My family is still in Michigan. So we go up there several weeks a year and we’ve been using all this time we have now to travel ’cause we can work from wherever. So I’m like, “You know what? I’m gonna start a site helping families learn how to take these longer vacations, basically.” So, I did that, I got a website up, I wrote some articles. Worked on it a little bit and just went totally nowhere. Jocelyn Sams: What? You built it and people didn’t come? Shane Sams: I know, right? Dan Dekker: That’s right. Yeah, they lied in the movie Field of Dreams. Shane Sams: He’s a liar, that Kevin Costner, you should never trust him, ever. Shane Sams: He’s sketchy, man. Shane Sams: I love it. Dan Dekker: Past some of those initial hurdles. Jocelyn Sams: Learned things by making mistakes. Shane Sams: Yeah, that’s right. That’s right. Jocelyn Sams: Hmm. Very interesting. Dan Dekker: That’s right. And I actually tried something and failed, but I learned something. Shane Sams: “We support you. Whatever you want to do, man.” You know? So it’s like, “Watch the WordPress course, do the thing, do this, and we’ll be here when you’re ready to pivot, okay?” And like, as you’re doing these things, I remember you come back later and we start talking again about how kind of like the travel thing’s not going and this. But like, it’s not that we didn’t want you to start a business, right? We wanted you to start a business, but to capitalize on all of the things that you already had in place. You know, you have these skills ’cause you’ve been working on the business. You’ve been doing the accounting. You’re like the master of the backend of this business that you and Rebecca have created. And she already had an existing audience, which is the most powerful thing. The most unfair advantage that anyone can have when they’re starting out is if they’ve not made a dime, is they have an audience to market something to. Jocelyn Sams: It just maybe wasn’t the right fit for you. 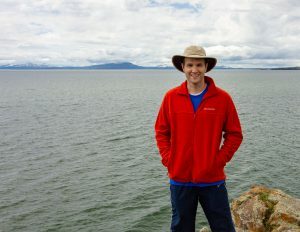 Dan Dekker: No, and definitely the thing that surprised me most about a travel business is I felt like I was pressured on vacation to do all this business stuff, you know? Dan Dekker: Like, we were going, for example, into Memphis for spring break and I’m like, “Alright, we gotta hit all these like major attractions in Memphis or else I’m like not doing my job. And I’m like, “That’s not what vacation’s about.” You know? Jocelyn Sams: And a lot of people [crosstalk 00:09:44] might not know, but we have a YouTube channel and we do some travel reviews. Just more as like a lifestyle type thing. Jocelyn Sams: We really do this. Shane Sams: Like … ‘Cause I record a lot anyway. And our goal is to get a film crew to come with us. That’s our ultimate goal. Shane Sams: That may workout next year, you know? Jocelyn Sams: Have the whole … Yeah. The whole crew come along with us. And like, you know, they work some. Dan Dekker: ‘Cause it is super distracting. And you’re like … And the kids want to do it so bad. They want to see themselves on YouTube. Shane Sams: Show their friends and stuff. Yeah, it’s annoying when you get there. Shane Sams: “Yes! That’s what we want you to do.” That’s what we’re talking about. If you’d asked Seth, he would have told you the same thing, okay? Jocelyn Sams: Like pretty much since it existed. Shane Sams: Three years or something like that, right? Even though every time you all do something, we talk about it, it always happens and works and explodes and goes crazy. Which I know y’all have another big win that I’m gonna ask you about in a minute. But like, you still hesitated. I felt this hesitation coming from you of getting in this and like, “Okay, I can make this course. I can teach these people. I can help them create sustainable businesses that throw the pebble in the pond and the ripple is a lot of babies are healthy and born and families are happy and they’re not worried.” But you were just … What was the hesitation to launch? Even just a couple of weeks ago? Dan Dekker: I realized I had … I struggle with doing some of these new things. If I don’t know exactly what to do, it’s like just enough to stop me from fully going through with it, you know? Shane Sams: Yeah, yeah, yeah. Dan Dekker: Like the best analogy I could make is … I don’t play many video games, but when I used to, I knew these people, they’d play a game one time and they move on to the next game. And like that was never me. I’d play one game and I’d learn it and then I’d play it like a hundred times. And I’d do it slightly different every single time, you know? Shane Sams: Oh, I gotcha. Yeah, oh yeah. Dan Dekker: And that’s kind of what it is with me, you know? Like, when I worked in IT company, we had this special software and I learned the software and I got so into it. I became like the office guru. I went to conferences for the software and everything, you know? Like, that’s me. Shane Sams: You and Jocelyn are the same soul. Jocelyn Sams: Okay, I really do. No, I love that. I love to refine. I love to make things better. Like, that’s who I am. Dan Dekker: But then it’s like, “Okay, but I have to go learn all this new stuff. I have to learn how to use Zoom or like do a webinar”, which I’d never done before. And that’s where I just almost subconsciously hang myself up. So yeah, I spent most of the summer just trying to design this PowerPoint to get it ready to record to make a class. Shane Sams: Alright. It’s all good. This is the perfect segue into where I’m going with this. Okay. So Dan is totally stuck and Dan comes to Flip Your Life Live in Nashville. Jocelyn Sams: This was like three weeks ago. Shane Sams: That’s right. So Dan comes there and the first day we had a long day of learning and Q&As and Masterminding and just working together. And the first night we had a working dinner, which was from seven till 11 o’clock. Everybody, the entire conference, was in one giant room. We ate dinner and we all just stayed in there until we almost collapsed working on whatever we were taking action on. Jocelyn Sams: Literally almost collapsed for me. Dan Dekker: I did not know this part of the story, by the way. Jocelyn Sams: This is the beauty of working with your spouse. Dan Dekker: Oh my goodness. Jocelyn Sams: I totally get this, you know? Dan Dekker: It’s like in school. I looked down, like, “Don’t make eye contact.” Right? Shane Sams: Perfect … Yeah, February, right? I’m gonna be putting it off. Jocelyn Sams: And if you know anything about this podcast, if you’re a frequent listener, you know that this is not gonna fly with us, okay? Dan Dekker: I probably had a glazed [crosstalk 00:15:35] look like, “What excuse do I have? Is there a reason that I can’t do this?” You know? Shane Sams: And was there an excuse? Dan Dekker: Of course not. Shane Sams: There was not. So what happens next? So you go out and … How did you launch the thing? What did you do after the next week or two? Dan Dekker: So your challenge was I think start the waitlist before we left the conference and launch a week later. And so the conference was on a weekend or at the beginning of the weekend. And so we spent the drive home … We composed some emails and I set some stuff up on Sunday. ‘Cause I had to like switch my ConvertKit account to the new website and get the domain going, all that stuff. So there was some technical junk I had to get out of the way. Dan Dekker: Well, we got the email ready. And then Rebecca knows her people and says, “You know what? If I send it Sunday night, no one will read it. So I’m gonna send it Monday morning.” So we launch Monday morning. We got I think about 60 people the first day join the waitlist right away. I ended up with like 80-some over that week. And then … And I’m losing track of the days now. And then it was just over a week later I finally … I got everything set up to actually sell it. I had to set up a payment plan and all that stuff. So a week later I sold and the first day I sold 20-some and by last night, you know, someone bought 30 minutes before the class started. Shane Sams: Oh, that’s amazing. So you got how many? Shane Sams: How much did you charge for that? Dan Dekker: The class is listed at 150 and I gave them 50% off their part of the beta group. So that’s awesome. Dan Dekker: A little over $2500. Shane Sams: Woo-hoo! That’s amazing. And you’ve got buyers. I mean, you’ve got people in hand and they’re gonna buy the next thing. And maybe you can offer coaching. And maybe this evolves into like the group thing where you get a monthly recurring revenue off of this. And now you guys have this whole second thing of income. Jocelyn Sams: And let me just ask you. Like, how much of the actual course work do you have done? Dan Dekker: Well, I had had to teach one class, so there’s one class done. Shane Sams: You had nothing when you sold it, right? Dan Dekker: Oh, not at all. I mean, I made the joke to Rebecca. I was like, “Alright, what did we promise these people?” So I had to go to my own sales page and see what I promised to like fill out the PowerPoint, you know? Jocelyn Sams: Oh, Dan. We have done this so many times. Shane Sams: If I had a nickel. If I had a nickel for every time I said that Jocelyn before a member call. Jocelyn Sams: You know, I want people who are listening to know that it’s not being like dishonest or anything. You are going to create the course. Like, I feel like sometimes people are like, “Well, you know, that’s really shady.” But people [crosstalk 00:18:03] know that’s the reason you’re discounting them because the course isn’t finished. You’re going to finish it with their assistance. Shane Sams: All summer on a PowerPoint. Jocelyn Sams: Doing it this way is that people will ask questions and you will answer those questions as things that you never would have even thought of. Dan Dekker: Right, yeah. When I had them sign up, they got a thank you or welcome email and it said, “Hey, reply to this email and let me know what your big problem you’re having is.” So I got a lot of great feedback right away by doing that. Shane Sams: Yeah, how did the first course go? Did they ask questions during it, too? Like a lot of questions? Shane Sams: Did anybody ask something you had not thought of? Like during either those emails or the thing? Or did they ask it, maybe you thought of it, but it was like, “Oh, I was gonna teach that four weeks ago but they asked tonight”? You know? Jocelyn Sams: That needs to be a whole course. Yeah. Dan Dekker: Yeah. At least it’s gonna be the majority of that session, and it’s all about taxes and stuff. Jocelyn Sams: So I just really want to pull this thing out for people who are listening right now. Like, if you’re sitting there trying to finish your course or your membership area or whatever it is, if you are spending months and months and months doing this before you have customers, chances are you’re not even giving them what they really want. So then when you try to launch it and they’re saying, “You know, I don’t really want this”, well, the reason why is because you didn’t develop the course with your people in mind and with their help. So that’s what we’re trying to say is that just go for it. Like, what do you have to lose? Shane Sams: And also, too, there’s something else I want to unpack here a little bit. This is not just, “Rebecca had an email list”, okay? This is the same exact thing as, “I know where my avatars’ hanging out.” They were hanging out over with Rebecca. Like, you knew where these people were. It’s no different than if you knew they were in a forum, if you knew they were on Facebook, if you knew they were on Twitter. And when you launched, you just had 80 people on your list for this specific product. ‘Cause every product is its own niche, right? And 35 people out of those 80-something people jumped on this. Shane Sams: Things can go wrong. And you need that little extra protection in your business for more security and be able to invest things. Jocelyn Sams: And let me just throw in a disclaimer, that’s if you already have something that’s successful. We don’t like you going in 15 different directions if you don’t have one thing that’s really started to take off yet. Shane Sams: That’s right. Yeah, the natural progression is to expand into new things and other things. Like you … Also, like keeping alignment with the thing that was working. That’s really what you have done here is instead of just starting a random new business, you said, “Okay, well, this is in the same vein. We can talk to each other about this. We can understand it. We can serve the same person, but in two completely different ways.” And that’s how you keep stacking and building on successful … Like, that’s why we added recently … Jocelyn and I just launched a new program called S and J All Access, which Dan and Rebecca are a part of of. And it’s a Mastermind where people can literally send us a message on the phone, right? And we get back to them as soon as possible on the phone. Jocelyn Sams: We don’t want to leave you. Shane Sams: Right, exactly. So we had … We wanted to offer a higher … This was a completely different segment avatar than what we normally teach. But it’s in alignment with our brand. So it’s kind of like a different business, different product. It’s just now we can serve two different people. And that’s kind of what you’ve done. You’re serving the same people in a different way. Dan Dekker: Yeah, we’ve … I, of course, was hesitant to join the All Access. But Rebecca talked me into it. And it’s been awesome. And I was gonna tell you, if anything you’re underselling it. Because when we first signed up it’s kind of like, “Yeah, this whole walkie-talkie talk to you guys thing.” But then day one, you send us this huge form to fill out and it’s basically like, “Tell us what Point A is, tell us what you want Point B to be. We’re gonna help you get there.” And again, I’m leaning back like, “Whoa, whoa. Let’s like slow down.” But … Right? It’s way more than just talking to you guys. It’s like you’re helping us set goals and actually find things we’re gonna accomplish in this finite amount of time. Jocelyn Sams: Well, it’s kind of a beta right now, really. Shane Sams: Yeah, it’s kind of in a beta. We gotta be a member and there’s only like one page you can get to it. So maybe we’ll roll that out more. Dan can be our … We’ll use this as our first testimonial, Dan. How about that? Dan Dekker: There you go. Jocelyn Sams: Okay. So let’s get into what you need help with next. Okay, so you had a really super successful launch. And what’s going on right now? Like, where are you stuck? Shane Sams: We overcame the launch fear, right? But I’m sure it was replaced by others fears, obstacles, or mindset issues. I remember you sending me the thing, “Okay, I’m about to do this class. And I’m kind of freaking out right now.” Right? So like what fear, obstacle, or mindset issue has replaced the fear of launching now? Dan Dekker: Being past that first class was a big one, so I’m really glad to be past there and I’m glad this podcast happened like right after that. So that was good. So I’m teaching two more podcasts in the next two weeks, so that’ll happen. After that … Now, when we emailed Rebecca’s list, we didn’t sent it to the whole list. We just sent it to a smaller subsection. It was really just a couple of hundred people. So now we’ve got … After the first class is done we’re ready for the big list. And, I mean, I don’t know that my same format … I mean, it’d be cool to teach it live, but if I’ve got a hundred people or more in a class, I don’t know if doing like a Zoom meeting is gonna work or if I just need to sell them the recordings. Shane Sams: Yeah, I think … So basically it’s like how to push it forward, right? I tell you what we did. And you don’t have to do it this way, but what you’re creating right now will be good enough to sell by itself passively. Especially since you have a much bigger list now. But, it might be beneficial to do like two more passes at kind of a beta type group and let more people in it. Let more people come through, let more people … Like, don’t rush it, you know? We always say, “Be the glacier, not the forest fire.” The forest fire looks spectacular, but then it goes away, right? Well, like the glacier is an unstoppable force that keeps moving, keeps building power going forward. Shane Sams: And when we did Flip Your Life, we did like three sessions in a row over like a six-month period to really get more people in, get more feedback. See what more questions were. And refine our own talk. You know, this first time you do it’s gonna be great, but then the second time you do it’s gonna be better. And the third time you do it’s gonna be really, really good and you’re gonna have like probably a hundred people go through this course to help you build it. And then when you sell it, now it’s like, “Hey, guys, look. This is what went into this. This is now $500, not $150 to buy this course that you can buy passively.” And then you can start putting it into other funnels and things like that. Shane Sams: So I would probably recommend doing two more beta launches and beta groups so you can perfect the system and perfect the courses and perfect your speech. And then it’s awesome and you can sell it forever. Jocelyn Sams: Does that seem less overwhelming? Dan Dekker: Yeah. I mean, I really like teaching it live, I think there’s a lot of benefit to teaching it live. So to do that … I mean, this is kind of a sensitive area where like we’re trying to minimize the emails Rebecca sends to her list because they didn’t necessarily sign up to hear about this. So should we blast everybody and get all those people on a new waitlist? ‘Cause all the people who didn’t get the first email from Rebecca don’t know anything about this class. So I could kind of do like another first waitlist email just to thousands of people? Jocelyn Sams: Yes. I would try to segment somehow. Shane Sams: That’s what you would do ’cause then you’re gonna create more demand. ‘Cause there’s gonna be a lot of people that can’t get in ’cause it’ll sell out, you know? I tell you what you could do, too. You know what I’m gonna say about the email list. It’s … They’re not gonna worry about it. I would set up a good rotating schedule for this waiting list every two weeks. One day every two weeks on Rebecca’s email list where it’s like, “Hey, guys. We’re opening the waiting list again for Dan’s course if you want to run a better business.” And let every couple of weeks let more people get on that so you can start kind of filtering those people out as you go. ‘Cause new people join the list all the time. 90% of people probably didn’t even see the first email. So don’t assume that anybody does or does not want that list. Jocelyn Sams: And, you know, if it starts to become a problem you can also put on an opt-out for that particular thing. So you’ll see people send emails sometimes that say, “I want to let you know about X, Y, Z. If you don’t want to hear about X, Y, Z, click here, but you want to stay on my list.” You know? Shane Sams: Most things have like when they click on “subscribe” it can go to a thing and you can have a menu. And there’s like on and off. I think ConvertKit does that. Jocelyn Sams: But I wouldn’t worry about it. Like, this is a benefit for them. Jocelyn Sams: And like if one or two people get mad about it, whatever. Jocelyn Sams: They can go away. Dan Dekker: Okay, yeah. That’s a good idea. Shane Sams: Lost that fear of … You should tell them about this. It’s important, you know? Jocelyn Sams: If you come to people from a place of genuinely wanting to help them … And I know that you guys do, just like we do … They know that. And there are gonna be a couple of people who complain and whatever. But they’re not your people. People know that you have a genuine art for wanting to help them move their business forward so that more babies can be born in the way that their mothers want them to be born or like what the evidence shows is the best way for them to be born. You know, that’s your greater mission. So as long as you’re moving towards your greater mission with a genuine sense of purpose, then people know that. They can just sense it. Dan Dekker: M’kay. Yeah, I like that. I think it’s a good idea. Jocelyn Sams: We’re always serious. Shane Sams: Or make thousands more dollars. Jocelyn Sams: Like, it’s really free to them. Jocelyn Sams: If it’s not it should be. Shane Sams: Yeah, exactly. You gotta keep looking at it and make sure that you’re not … You know, tax stuff’s gonna change every year, but the basics are there, right? Jocelyn Sams: Principles are the same. Shane Sams: So off the backend of this 500 to thousand dollar sale you sell this little $19 a month membership and then you just figure out, “Okay, well, I know I’m gonna do one call.” Then they can come and ask, “Oh, man, I had this problem this month with my build. Then I had this” … It’s just a safety net where they’ve got someone to go talk to and go ask a financial question once a month. It’s easy, it’s a good downsell. It’s simple. You could even like get with a local print shop and put together a little paper newsletter. And you could say … ‘Cause that’s totally easy to automate. You just go down and give ’em a list and they send it every month for you. And it might cost you a dollar a person, right? Shane Sams: But it’s like, it’s a little thing from Dan that they get it in the mail, they open it and it’s like, “Hey, it’s January. You need to be worrying about X, Y, and Z this month.” Or, “Hey, it’s December. Maybe you should saving some money here and there for this or whatever.” And just a little something to give ‘me a safety net and a reminder that they’re paying you that 19 bucks a month and it’s worth it. And you get a thousand people in that and all of a sudden you’re talking big money. Jocelyn Sams: But you do need it. Dan Dekker: See, yeah, the continued questions. Shane Sams: There’s always gonna be … People always have questions and people are always one question away from their next paying you. Jocelyn Sams: And I can see it as even being maybe like an upsell for Rebecca’s, too. Like, do you want to join both of these things? You can join this one for X dollars a month, or you can join this one for Y dollars a month. Or you join both for whatever, you know? Shane Sams: You can cross-pollinate easily. I think what’s gonna happen is I bet you there’s a ton of people on that list … Even though they’re birth professionals, even though they’re end of the free content or end of the thing they got off the thing … There’s probably some people that probably are like, “I’m very confident in this part of my life.” They would buy your thing and not buy hers. I bet you there’s people on that list that are in that same boat. And you’re gonna be able to now maximize that list better. But you’ve gotta be able to like … There always needs to be a recurring component. Either before a product or after a product. Jocelyn Sams: It could be an upsell. It could be a downsell. Like, I see so many different areas of potential with this. Jocelyn Sams: Okay, let’s not build the entire city right now. Shane Sams: Alright. Five years from now, here’s where you’re gonna [crosstalk 00:34:23] be at, Dan. Okay? Dan Dekker: So corporate offices. What should I be looking for? Shane Sams: I think … Yeah. That glass building over on Man o’ War looks pretty nice, you know what I’m saying? The blue one? Okay. Shane Sams: Way down the road here. Okay, so let’s back up the truck. You know we ask everybody, what are you gonna do in the next 24 hours? What are you gonna take action on to move you toward your next steps based on what we talked about today? Dan Dekker: I don’t know. It sounds kind of hard. I think I’m just gonna quit. Jocelyn Sams: That is not the correct answer. Shane Sams: That is not the correct answer. Dan Dekker: Well, I need to teach my next two courses. That’s definitely gonna happen. So I gotta finish this first round with this group before I can really do a whole bunch more. But I think the next thing after that will be getting an email ready to go to Rebecca’s … The rest of her list and getting them on the new waitlist so I can plan the second and third class to teach. Shane Sams: You should set the date, too, for when the next course is going to roll out, right? Live, which might be … Did you say you’re going on vacation in January? Shane Sams: Okay, so you’ll be done with this one, though. You could do it … You might be able to do it in December, just to get a few more people in [crosstalk 00:35:39] and get one done before the end of the year. Dan Dekker: Yeah. Maybe early December. Shane Sams: Yeah, ’cause you could schedule it even. You don’t have to schedule it one week apart. Once you’ve done it once, you could do like, “Oh, I’ve got to do three courses again. Let’s do it Monday, Wednesday, Friday in one week.” With your next beta group and do it faster. And that way you’re not getting into the holidays, right? And that way, when you send the waiting list out you can say, “Look, this is launching on December 1st. If you’re not on the list you’re gonna miss your chance to get in it.” So it creates some urgency to get on that waiting list, right? Dan Dekker: Yeah. I was just thinking. I could pitch it like a, “Get yourself all set up to start 2019 right”, or something. Shane Sams: Exactly. Perfect, yep. And then what you do is in February you do your third pass when you get back from vacation. And you’re like, “Has 2019 not started off the way you wanted it to? Are you freaking out ’cause taxes are in two months? Here we go.” Right? I mean, you can get ’em in on that way. And now you’re ready during … The second quarter you’re gonna be launching the course, you’re gonna have the nice, easy passive income stream where you can start setting that up. And then you can start downselling some other stuff to it, okay? Shane Sams: Love it, man. Shane Sams: Oh, there you go. See? Dan Dekker: Daddy’s getting a new subwoofer soon. Shane Sams: But is she just setting it up where she gets to spend all the other money by herself? Shane Sams: I think she’s hoodwinked you here, dude. I think she’s hoodwinked you. Shane Sams: Alright. So before we go, we always like to share a Bible verse at the end of our podcast. Jocelyn and I draw a lot of inspiration from the Bible. There’s so much business and financial and life advice in that book that you can pull out of it and really take it to the next level. But today we have Dan. Dan is gonna share his favorite verse with us on the podcast today. Shane Sams: Ooh, I love that verse. I was telling Dan when he told me what the verse was gonna be … I was reading that on Sunday. And that part where it says like, “who does what’s right even when it hurts” … Oh man, if that’s not a … If every business in America would just do that, we would live in a really, really cool place. Dan Dekker: Oh, yeah. It’s to do right when it’s easy. But doing it when it hurts is the trick. Shane Sams: Alright, man. Well, listen, dude. Great, great time today on the podcast. Cannot wait to see what you guys do next. I love you guys ’cause you’re action takers. For example, Dan and Rebecca just launched a live event and they sold it out in 24 hours. Shane Sams: Which is amazing. Over a hundred people coming to y’all’s live event. You guys are just action takers. I know you’re gonna do great things. And I know this thing is gonna be a huge things for you guys as well. Dan Dekker: Awesome. Thanks so much. Shane Sams: Hey guys. Thanks for tuning in to today’s Flip Lifestyle Podcast. 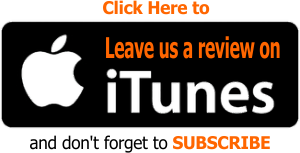 We’re so glad that you listened to our interview with Dan and heard us help him take his business to the next level. We would love to help you take your dream, your idea, your business to the next level as well. And we do that inside of our Flip Your Life Community. If you would like to ask me and Jocelyn a question inside the forums or on one of our member calls, all you have to is join, be a member. Show up on one of those calls and we will get to your questions. 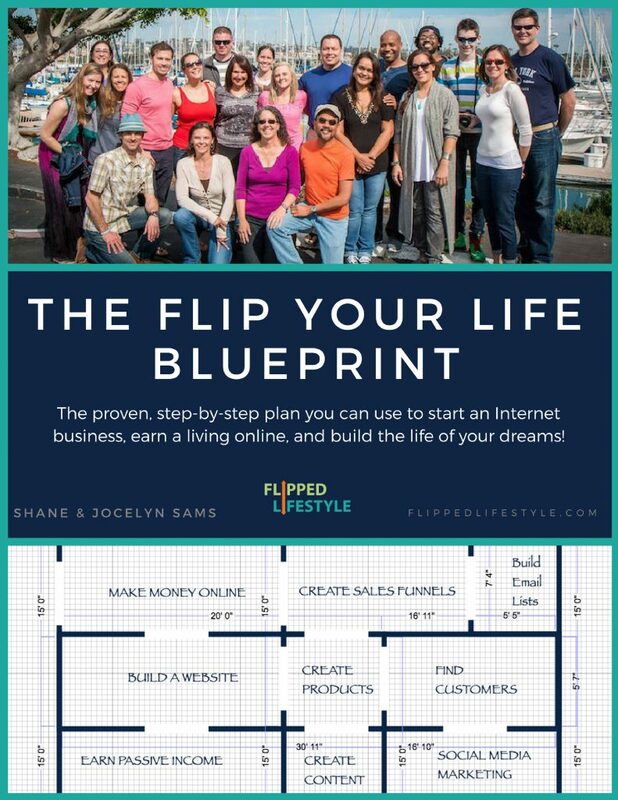 Shane Sams: Well, you can do that for free right now at flippedlifestyle.com/free. 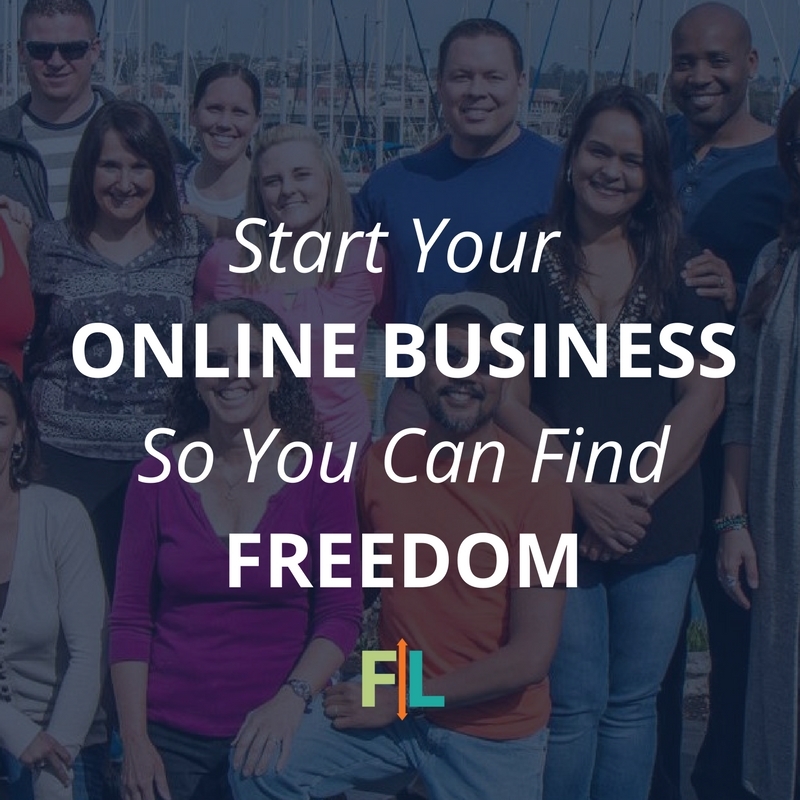 That’s flippedlifestyle.com/F-R-E-E. We’ve got a 30-day free trial waiting for you and we would love to see you and help you inside of our community. We have all the training, coaching, and community and accountability that you need to make your dream a reality. That’s flippedlifestyle.com/free. And until next time, do whatever it takes to flip your life.